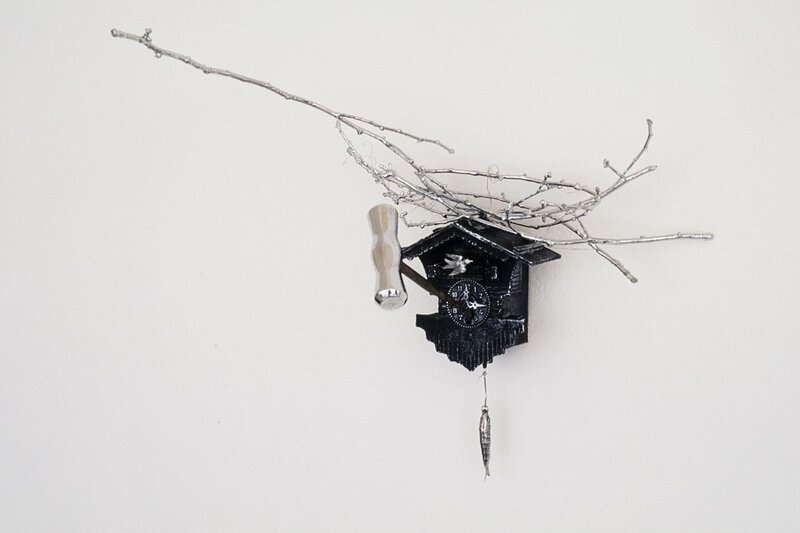 chromed cuckoo clock, twigs and cork screw, stainless steel wire, cast stainless steel, paint. 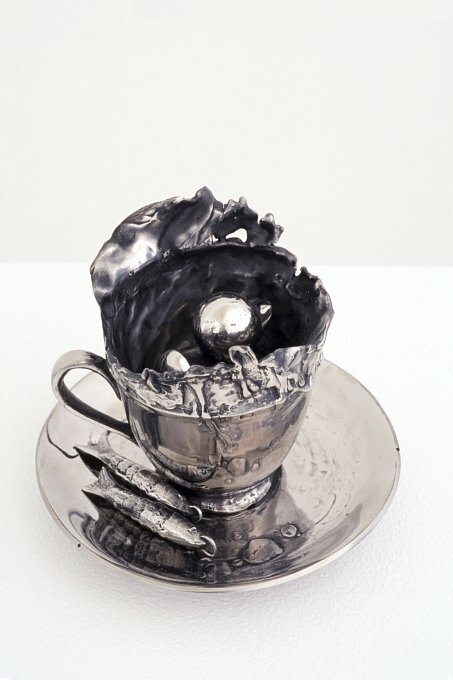 "Night Fictions" explores the qualities and experiences, the conflicts and desires, associated with night dreaming. 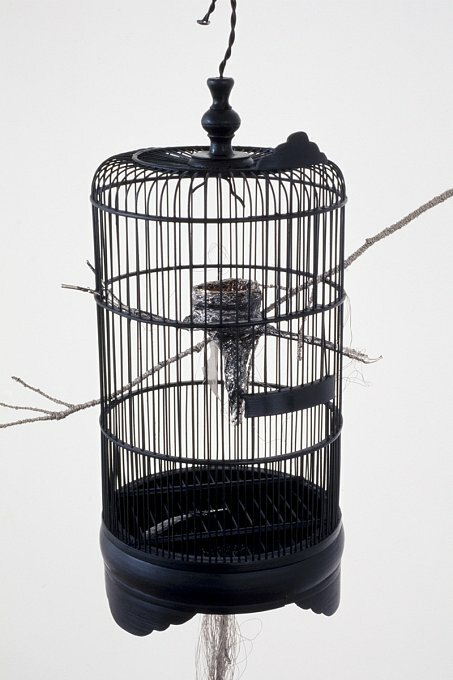 The concept of a dream fantasy was created by the riddle like constructions using familiar everyday elements to create personal symbols and by using proverbs as titles for the artwork. 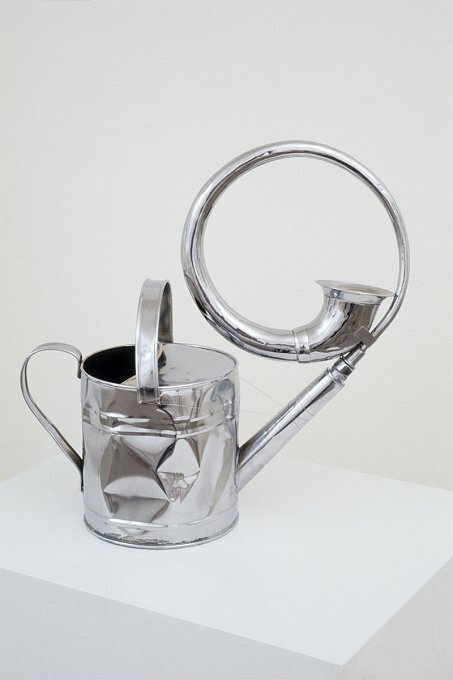 Everyday objects such as watering cans, boxes of chocolate, an umbrella, a cuckoo clock and a bird cage, have been reinterpreted to create shifts in logic, an amplification of feelings of instability or uncertainty, and to offer an alternative experiential reality that is often expressed through dream imagery. 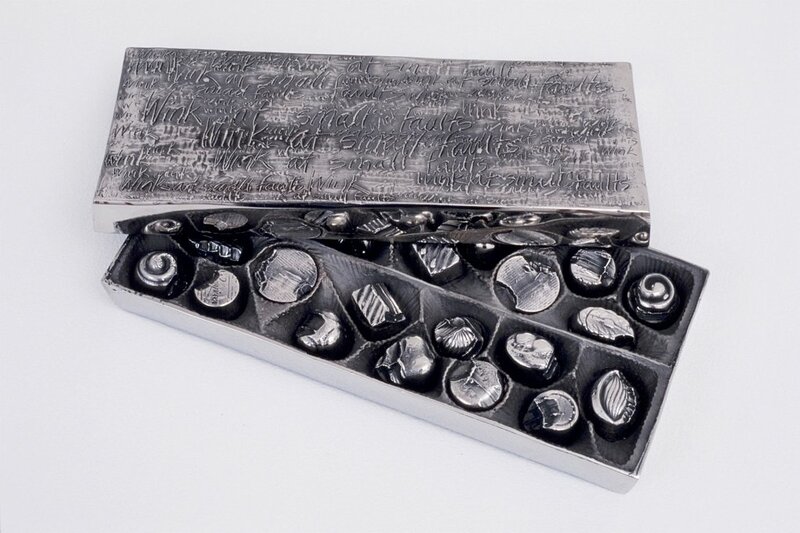 Proverbs were used as titles for the artwork because they represent a mini narrative that is socially understood, while also encouraging the viewer to engage in personal narratives or memories that are imagined by the reading of the proverb. 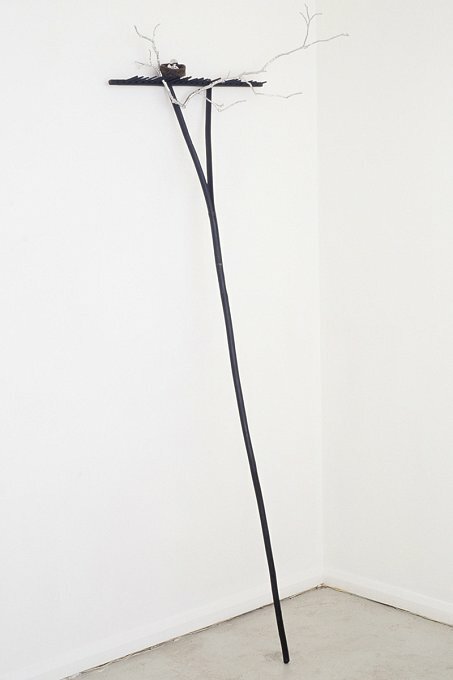 In this way the viewer participates as both the subject of the 'dream' represented in the exhibition, and analyst as they decipher the riddles proposed by the sculptural objects. 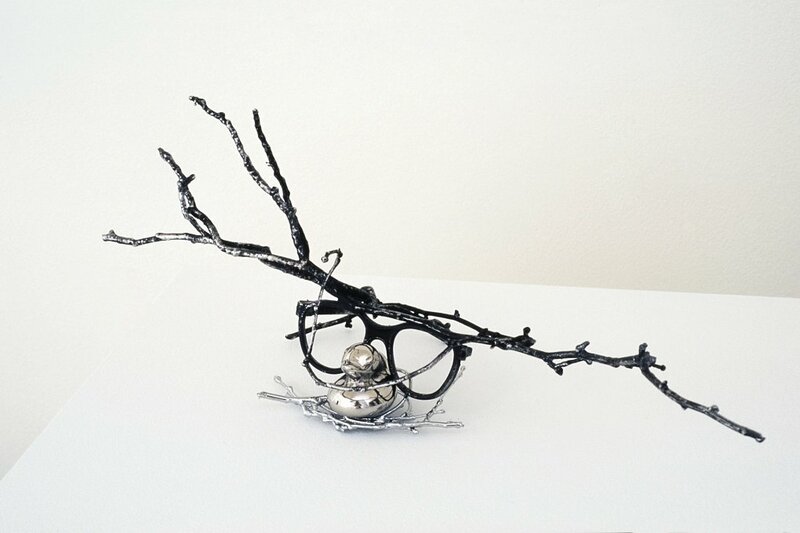 The combined materials of stainless steel, glass and chromed natural and man made objects complemented by black painted objects, are used to create the experience of the bizarre as well as imbuing the objects with emotional tension. 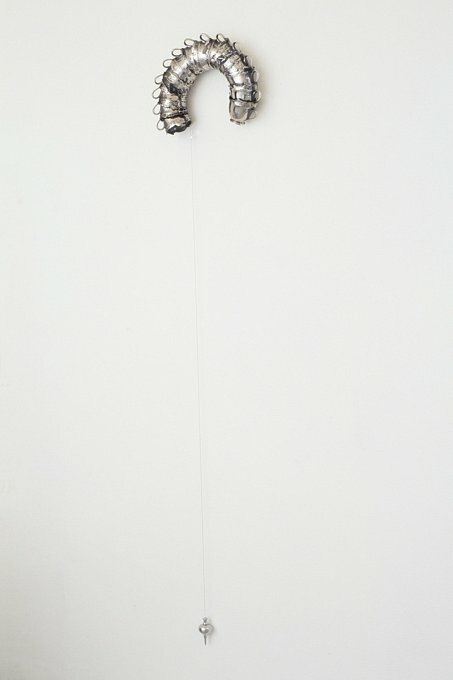 The reflective qualities of the stainless steel, chrome, and mirror were used to depict the spatial and temporal distortions experienced in night dreaming, as well as reflect movement, colour and the viewer as 'subject' in the dream like experience. 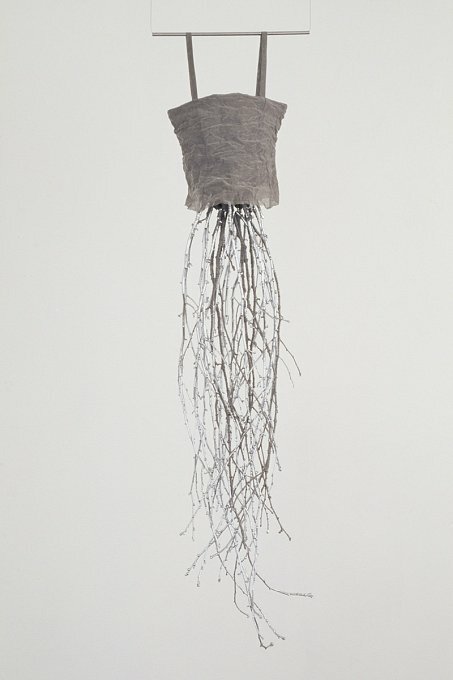 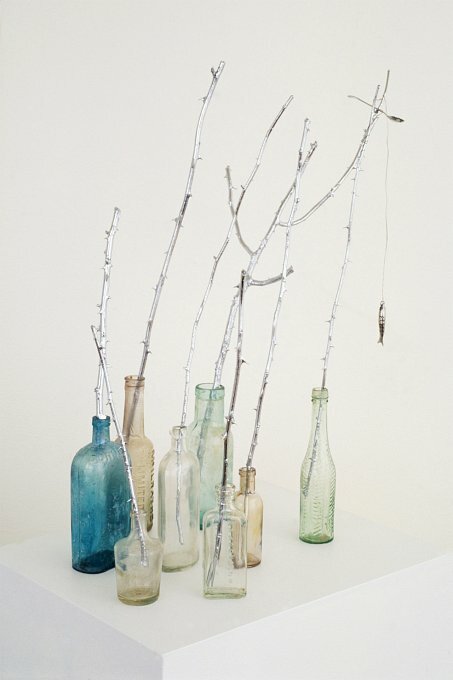 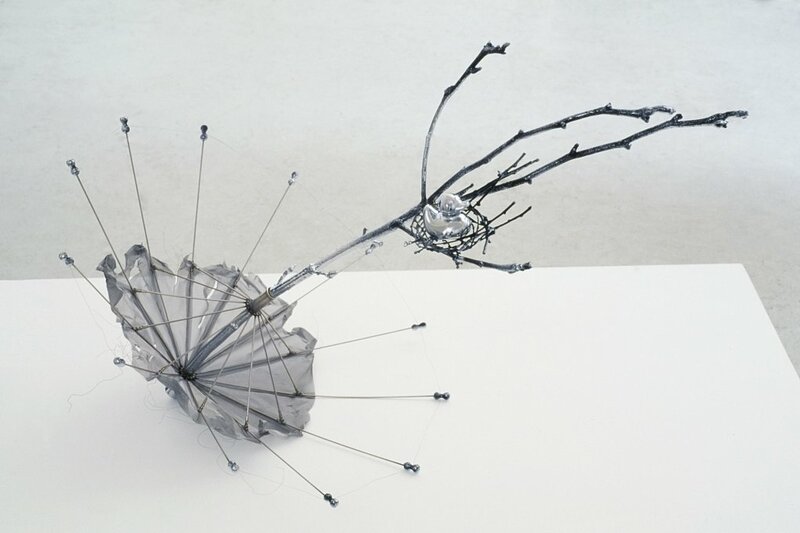 Chromed or wire wrapped tree branches, rose stems and twigs are combined with man made objects to increase the experience of spatial distortion and uncertainty of place. 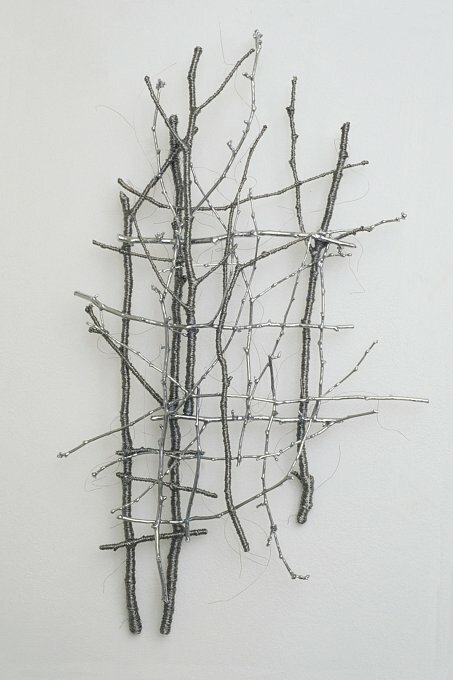 stainless steel mesh and wire.